In this, we will cover the basics of learning with demonstration by using perceptron Training algorithm. The gradient descent algorithm in Backpropagation helps participants to understand and apply to build supervised expert system for any real-life problems. It covers the use of the Gaussian method in Radial Basis function with example. This module covers the design of unsupervised system using Hopfield network. The application like signature verification, pattern recognition can be design using associative memory(BAM).This module focusing on handling uncertainty , vagueness issues while designing an expert system using Fuzzy logic. The course will be accompanied by hands-on problem solving with programming in Java and Python and also covers the tools like ,OpenNN, Joone, FuzzyTech and other important open source tools available. Dhananjay Ramrao Kalbande is currently a Professor and Head, Computer Engineering and Dean(Industry Relations), Sardar Patel Institute of Technology, Andheri (West),Mumbai, India. He has completed B.E. in Computer Technology from Nagpur University in 1997 and Master of Engineering in Information Technology in May 2005, from Vivekanand Education Society’s Institute of Technology(VESIT), Mumbai University, Mumbai, India. He has obtained Ph.D in Technology from University of Mumbai, Mumbai in 2011. He has been awarded as a Post-Doctorate from Tata Institute of Social Sciences(T.I.S.S.) in 2016.He was also associated with T.I.S.S. as a Senior Research Fellow on the NCW-TISS Project, funded by National Commission for Women, Govt.of India from 23rd July 2016-10th Oct.2016 and Research Fellow by Tata Trust & M.I.T.(U.S.A.) on the CLix Project from 20th Feb to 19th May 2017. He is having over 17+ Years of experience in teaching & research. 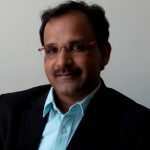 His research interests include Soft computing (Neural Networks, Fuzzy Logic),Computer Network, Human Machine Interaction Decision making, Mobile application development for social cause, ICT for semi rural development for social cause. He has authored the 4 books namely Graphical User Interface(Pareen Publications), MIS(Pareen Publications), Human Machine Interaction(Wiley Publications), Digital Forensic(Wiley Publications). 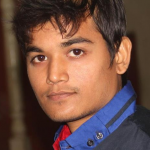 He has delivered and conducted various workshops on Neural Network & Fuzzy Logic ,VB.Net and ADO.Net. He is also awarded as distinguished professor & distinguished HOD by CSI in 2017. Currently working with Research Project titled “Analytical Study of Mosquito Borne Diseases: Analytical Tool development “ with Centre for Excellence in Basic Science University of Mumbai-Dept of Atomic Energy, Mumbai since 29/06/2017. Sunny Shah is currently working as Senior Software Developer at Morgan Stanley. 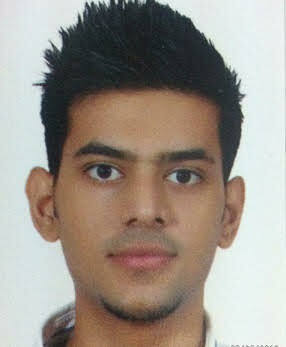 He has completed his Bachelors in Computer Science from Sardar Patel Institute of Technology, University of Mumbai in 2015. Apart from the experience working on high frequency trading applications in Morgan Stanley, he has immense experience in competitive programming. He also co-founded “CannyBrain.com”, which started as an educational initiative and gradually became commercialized, He worked on many other projects including Computer Department website for SPIT and Lunchex.co web application. He has great interest in domains of Machine Learning, AI and Distributed Application development.